Fethiye and the surrounding areas are a haven for those who yearn for sea and sun, for those who wish to relax into the peaceful arms of mother nature and for those interested in culture and history and who are attracted by the spectacular location and historical treasures. Here one can choose a different activity every day. The nice thing about Yakamoz is that you get the sort of holiday that YOU want. The atmosphere is congenial and you can stay by the pool, relax in the orchard or take advantage of our wonderful mountain location and go walking. You can chat a little, read a little, or even start writing that book you always knew you had in you! If you catch the staff on a good day, there just might be a game of water polo! Oludeniz and the Fethiye area is an excellent location for many interesting activities and excursions. We can organise things on your behalf if you want us to. There will be full details at Reception when you arrive but in the meantime here is a taster…. An excellent fun day out and one of our most popular trips. Something for everyone ranging from history (Tlos and Xantos), natural beauty (Saklikent and Patara) and an insight into the rural Turkey that most people never see including a visit to a village mosque. You can drive or be driven. Alternatively you can try something a bit different; a wonderful overland jeep drive to the Girdev Plateau. This journey takes you up through the local villages stopping at one of the great lakes that nestle in the mountain tops. 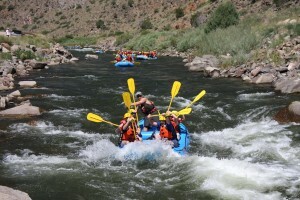 This is an organised trip run by Ali Baba throughout the season and can be booked by Reception. Dalyan is a small town in Turkey’s south-west Mediterranean region that keeps its secrets tucked away behind the coastline. 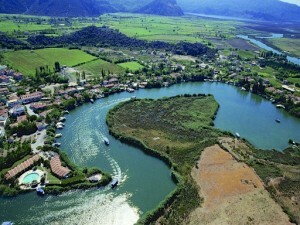 Dalyan's famous Lycian-style Kings' Tombs are set into the cliffs across the Dalyan River southwest of the centre. An excellent swimming beach, Iztuzu (or Turtle) Beach is one of the Mediterranean nesting sites of the loggerhead turtle , and special rules to protect it are enforced.Take a boat trip from Dalyan to the mud and sulphur baths on the Lake Koycegiz side and wallow, hippopotamus style, in the warm, sticky swamp. It not only claims to have therapeutic properties (curing all manner of ills from skin problems to gastric conditions) but also claims to make you look ten years younger. Known in Turkish as the ‘hidden city’, Saklikent is a stunning mountain gorge some 50kms from Fethiye. It is the longest and deepest gorge in Turkey, stretching an incredible 18kms into the rockface of Mount Akdag. It is a spectacular place with sculptured walls soaring high above. 4km of the gorge is walkable; from the park area a wooden walkway has been constructed above the icy mountain springs. If you are feeling particularly brave you can take a dip here, but otherwise the waterside cafes provide a relaxing break and a chance to enjoy the spectacular setting. The ancient city of Tlos is 40km from Fethiye. The predominant feature of Tlos is the Ottoman castle built on the summit of the hill over the remains of a Lycian fort. 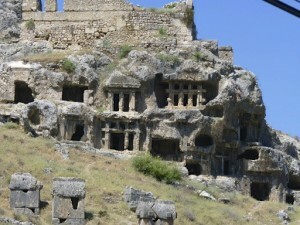 While climbing up to the castle the Lycian rock tombs will grab your attention. The most impressive is the tomb of Bellerephon, with a fine bas-relief of Pegasus the winged horse fighting against the three-headed monster the Chimera. Nearby are the remains of a stadium which once seated 2000 people, two bathhouses, the larger of which has 7 impressive arched doorways and a theatre. No trip to Tlos is complete without a visit to Yakapark. Fresh spring water has been used to create streams and waterfalls and you can relax to the sound of running water. Enjoy a meal in the Yakapark Restaurant and tickle the baby trout that swim in the channel carved into the bar. 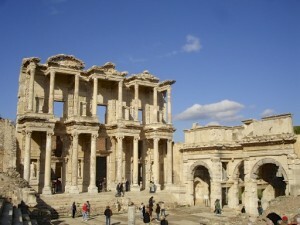 As capital of Roman Asia Minor, Ephesus was a vibrant city of over 250,000 inhabitants. Counting traders, sailors and pilgrims to the Temple of Artemis, these numbers were even higher, meaning that in Ephesus one could encounter the full diversity of the Mediterranean world and its peoples. So important and wealthy was Ephesus that its Temple of Artemis (en route to present-day Selcuk) was the biggest on earth, and one of the Seven Wonders of the Ancient World. After almost 150 years of excavation, the city's recovered and renovated structures have made Ephesus a complete classical metropolis – and that's with 82% of the city still to be unearthed. Pamukkale which literally means 'cotton castle', is the name the Turks gave to the extraordinary site of Hierapolis. The name was inspired by the preternatural landscape of bizarre forms created by calcite deposits from the hot springs that surface through a fault. There are mineral forests, petrified cascades and terraced pools. 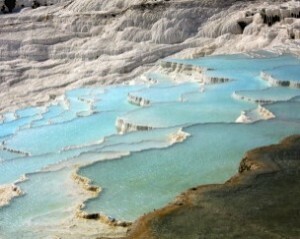 Tourists and locals visit Pamukkale frequently for its extraordinary look and ancient history. Hierapolis, whose name means "sacred city," was believed by the ancients to have been founded by the god Apollo. It was famed for its sacred hot springs, whose vapours were associated with Pluto, god of the underworld. Today, Hierapolis is a World Heritage Site and popular tourist destination. In addition to interesting classical ruins, the site offers a thermal Sacred Pool in which you can swim with ancient artefacts. Experience colourful marine life, hand feed fish, and enjoy the feeling of complete weightlessness when you enter the magic world of diving in Fethiye. From complete beginners to qualified drivers. 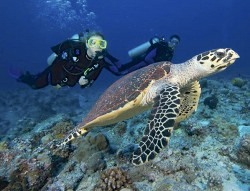 PADI and BSAC courses available. You can even have a go in our pool before deciding whether to go with the European Diving Centre. Paragliding from Babadag is an experience not to be missed. It is without doubt, one of the top air sports centres in the world. During 2014, more than 90,000 people visited the center.You will fly with an experienced pilot. ; male, female, young and old can all enjoy this amazing adventure. Enjoy the magnificent views over Oludeniz from the air! 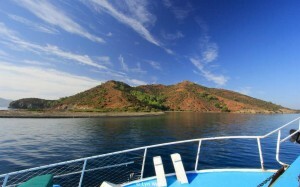 Head out from Fethiye for a lovely day on a boat that is exclusive to Yakamoz guests - lunch included. 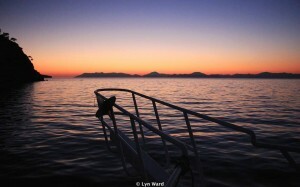 Take in the quiet, secluded bays and islands of stunning Fethiye Bay. Spend a lovely, relaxing day cruising clear blue water. Sunbathe, swim or snorkel…it is up to you! Trek into the hills above Hisaronu affording fabulous views over the lagoon at Oludeniz. 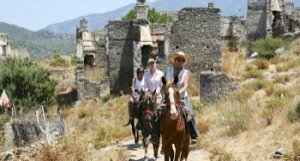 Or go to the deserted village of Kayakoy - quite extraordinary! On both trips you can play 'spot the tortoise' - they are all over the place! Enjoy an unforgettable holiday experience with the children in one of the best water parks on the Turquoise Coast. Relax whilst you go down the lazy river or experience the wave pool, the only one in the region. Enjoy the slides or simply swim in the pools. All this and much more in a dream setting surrounded by stunning mountain scenery. Bars and cafes offer you the opportunity for refreshments or a snack and there is a play area provided for children that includes trampolines and a pirate ship ensuring hours of unlimited fun. Please ask at reception for further information and discounted rates for Yakamoz Hotel guests. There is so much to experience during your Yakamoz holiday. How will you fit it all in?